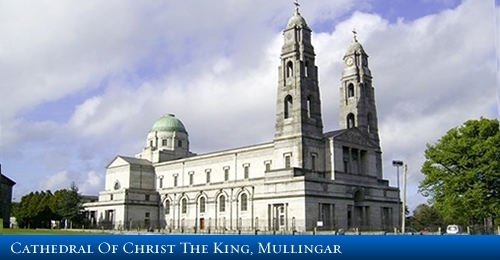 Located in the heart of the town, the Cathedral of Christ the King can be seen from any end of Mullingar. The cathedral was first opened in 1936 and has since grown to be the most important cathedral in the entire Midlands. It has a huge capacity of 5,000 people. The building is surrounded by schools, shops, banks and is considered by many to be the very centre of Mullingar itself. Needless to say, the cathedral is a very important part of the town.